Lake George Shoreline Cruises | Take A Cruise On Lake George! Come enjoy a memorable cruise surrounded by the spectacular Adirondacks and the sparkling blue waters just off our shores. 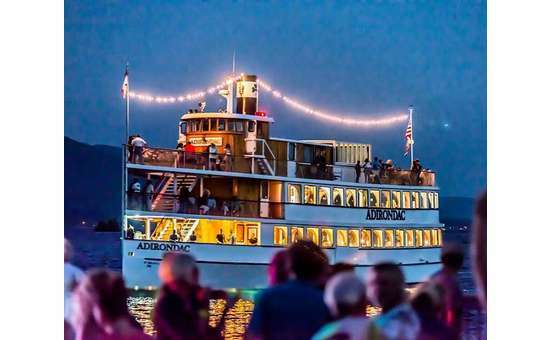 Whether aboard the beautiful Horicon for a Historic Sightseeing Cruise or on the new Adirondac for a Fireworks Dinner Cruise, you will experience Lake George as it was meant to be seen! We are available for weddings, private parties, and corporate events. There is nothing quite as romantic as a ship-board wedding...a private charter on either of our ships is an elegant and classic setting for your special day! Called to cancel three weeks before .Because of illness. I was told there are no refunds . Make sure you are healthy before you make a reservations.